He's done it again. Your dog was so eager to chase that squirrel, bark at the mailman or whatever it was this time that he tore through the screen door. Don't put up with it any longer. You can purchase products to prevent animals from going through the porch screen. They're available at home improvement stores and online. 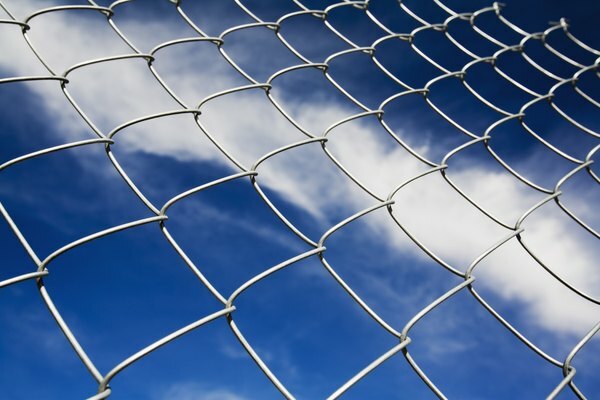 Although they resemble standard screens, pet screens are far tougher -- as much as seven times stronger than regular fiberglass mesh screens. Pet screens are designed to prevent your dog or cat from tearing them with their claws. Pet screen kits are available, so you can install the vinyl polyester fabric yourself. You can also purchase pet screen door protectors if the door is the primary issue. A dog signaling that he wants to go out by scratching on a regular screen door can puncture it fairly quickly. Grilles placed over porch screens will keep your pets in and prevent other animals from entering. They're especially useful if you feed your pet in the screened porch and wildlife or neighborhood animals try to stop in for snacks. 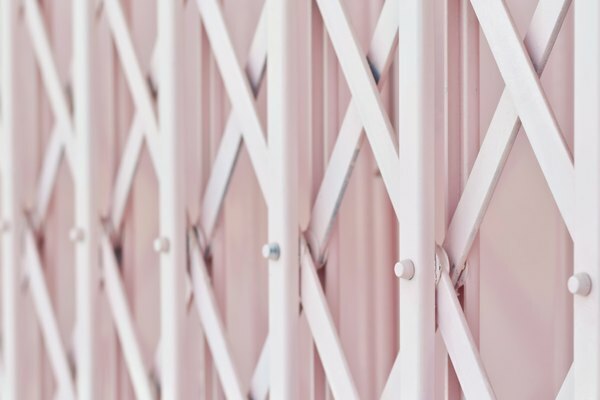 You can find pet door and window grilles in various materials and colors to match your decor. 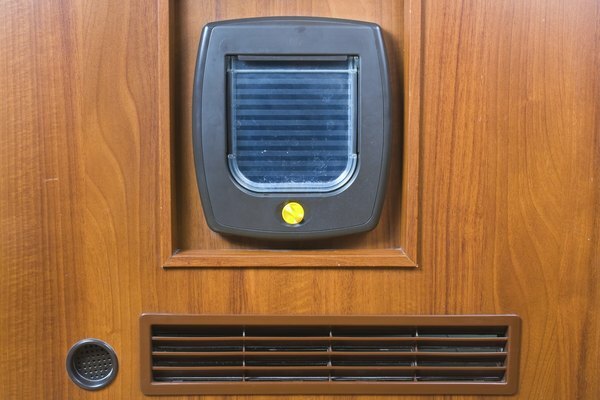 If your dog or cat is just going through one particular part of the screen in order to get outside, consider installing a pet door. That's a choice only if it's safe for your pet to have relatively free access to the yard. Many pet doors include a locking mechanism, so you can keep other critters out after your pet is in for the night. Certain models come with a radio-frequency collar that opens the door when the pet steps close. Pet doors for screens come in two basic types. The less expensive version clamps onto the screen. The more expensive but stronger type fastens onto a lower corner of the screen with sheet-metal screws. If you have a particularly active, rowdy or large dog, it's probably worth the extra money and possible installation costs. If you're handy and want to create your own pet screen, purchase appropriately sturdy screening material and cut it your specifications. 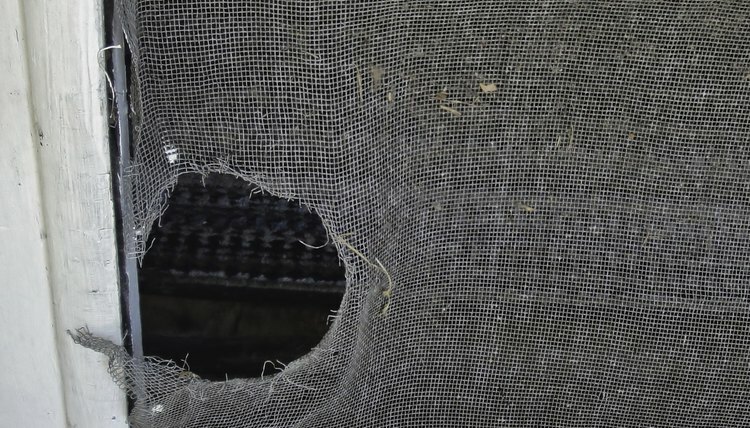 If your dog is so tough that he could possibly go through the strongest of pet screens, consider materials such as chain-link fencing or the stainless steel security screening used to deter vandals. The latter two aren't that attractive, but they'll do the job.